Shop online for over 200 master-box plastic models at discounts up to 40%. Figures is the most popular of the 3 master-box plastic models categories, then Cars / Trucks / Vehicles, and Dioramas. 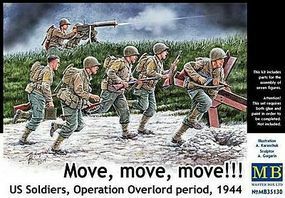 This is the 1/35 Scale Move, Move, Move US Soldiers Plastic Model Military Figure Kit by Master Box Limited. 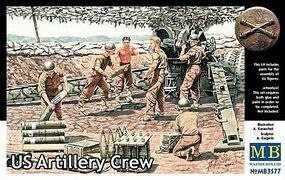 This is the 1/35 Scale WWII US Artillery Crew (6) Plastic Model Figures from Master Box Limited. 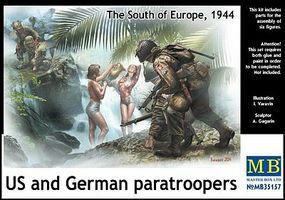 This is the 1/35 Scale Watching the Girls, US & German Paratroopers South of Europe 1944 (6) Plastic Model Military Figure Kit by Master Box Limited. 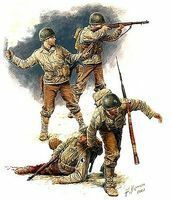 This is the 1/35 Scale US Infantry July 1944 (4) Plastic Model Figures from Master Box Limited. This is the 1/35 Scale German PzGrenadiers Set #2 1939-42 (7) Plastic Model Figures from Master Box Limited. 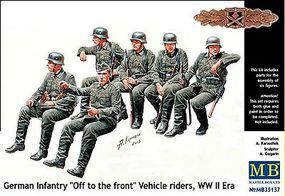 This is the 1/35 Scale WWII German Infantry Sitting (6) Plastic Model Figures from Master Box Limited. 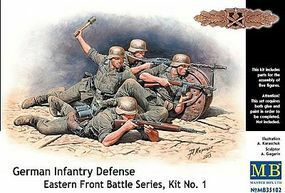 This is the 1/35 Scale German Infantry in Battle Eastern Front (5) Plastic Model Figures from Master Box Limited. This is the 1/35 Scale US Soldiers Patrolling Vietnam (4 & Woman) Plastic Model Figures from Master Box Limited. This is the 1/35 Scale USMC Infantry Tarawa 1943 (5) Plastic Model Figures from Master Box Limited. 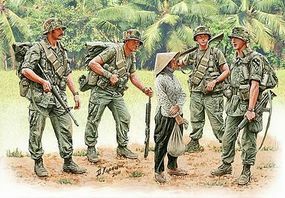 This is the 1/35 Scale Jungle Patrol US Military Vietnam War (4) Plastic Model Figures from Master Box Limited. 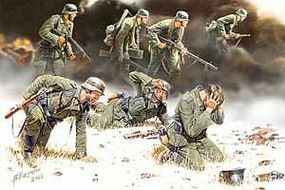 This is the 1/35 Scale German Infantry in Action Eastern Front 1941-42 (4) Plastic Model Figures from Master Box Limited. This is the 1/35 Scale Head for the Huey! US Soldiers Vietnam (5) Plastic Model Figures from Master Box Limited. This is the 1/35 Scale Charlie on Left! US Jeep Crew (3) & Viet Cong (2) Plastic Model Figures from Master Box Limited. This is the 1/35 Scale Japanese Naval Landing Force Tarawa 1943 (4) Plastic Model Figures from Master Box Limited. This is the 1/35 Scale 101th Sq US Paratroopers & British Tankmen France 1944 Plastic Model Military Figure Kit by Master Box Limited. This is the 1/35 Scale Checkpoint German Soldiers and Civilians with Sentry Box (6) Plastic Model Figures from Master Box Limited. This is the 1/35 Scale Let's Stop Them Here Plastic Model Military Figure Kit by Master Box Limited. This is the 1/35 Scale WWII Peasants Eastern Region (5) Plastic Model Figures from Master Box Limited. This is the 1/35 Scale British Infantry Before the Attack, WWI Era Plastic Figures Kit from Master Box. Suitable for Ages 14 & Older.